GOKPOP | Exclusive K-News in Malaysia & Singapore: Receive 15% Off and Meet Hi-Lite Records' Paloalto, G2, Reddy, YunB & More on 3 Nov! Receive 15% Off and Meet Hi-Lite Records' Paloalto, G2, Reddy, YunB & More on 3 Nov! 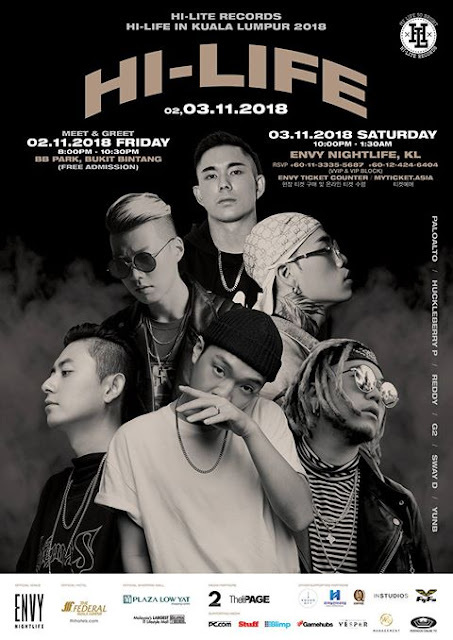 Hi-Lite Records, home to several rappers who appeared on the popular show “Show Me The Money,” is bringing some of their popular artists for Hi-Life in KL 2018 concert taking place on the 3rd Nov (Saturday). Paloalto, the founder of Hi-Lite Records, is headlining the concert, along with G2, Reddy, YunB, Huckleberry P, Sway D and DJ DJanga. It is sure to be a hit with fans of Korean hip-hop, especially as it’s being held in KL, home to many Korean Hip Hop fans. The “Hi-Life in Kuala Lumpur 2018” will take place at ENVY Nightlife KL, kicking off at 10.30pm with the after party running until 5am. It’s only a small venue holding 1,000 people but the event organisers want the show to be intimate and casual and the rappers will be mixing and engaging with the audience throughout the night. If you're not able to attend the concert, fret not, as the team will be having a Meet & Greet session on 2 November and the admission is FREE! “Eventually we'd like to create the best party that gives you the best experience!” said Chris Park, the organizer, Americ Lifestyle. So make sure you don't miss out on seeing one of most exciting Korean rap prospects when they come to Kuala Lumpur! Malaysia fans! Be ready for a crazy night of dancing and clubbing to ONLY K Hip Hop, bringing some of the greatest tunes from all your favourite rappers! 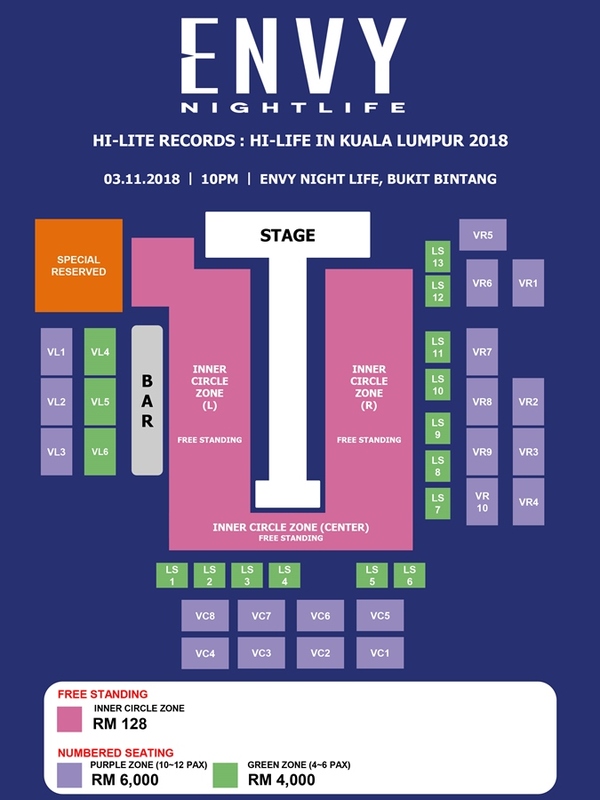 “Hi-Life in Kuala Lumpur 2018” is proudly supported by ENVY Nightlife KL, Federal Hotel KL, Plaza Low Yat, Round Off, Hanul International, Q Coffee, Pentagon Online TV and 2CENTS. Don’t miss out on this great event, Malaysia fans! We will make an extremely fun and exciting party so let's Party all together! For more information on Hi-Lite Records, check out http://hiliterecords.com/. For ticketing inquiries, contact +6011-3335 5687 / +6012 424 6404.